A Quincy woman was injured Tuesday when the vehicle she was operating went off the roadway at Quincy Curve and struck an embankment. 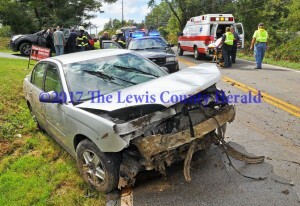 Deputy Bryon Walker said the accident happened about 2:30 p.m. Tuesday on Ky. Rt. 8 just east of Quincy in an area known as Quincy Curve.